I love to decorate with bunches of wheat and I use it all year long. 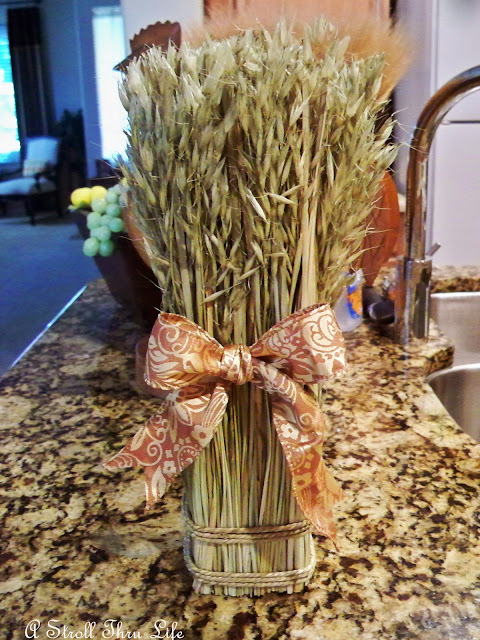 I have two bunches that are always used somewhere, so when I needed a hostess gift for a friend, I saw a bunch of wheat and knew it was perfect. 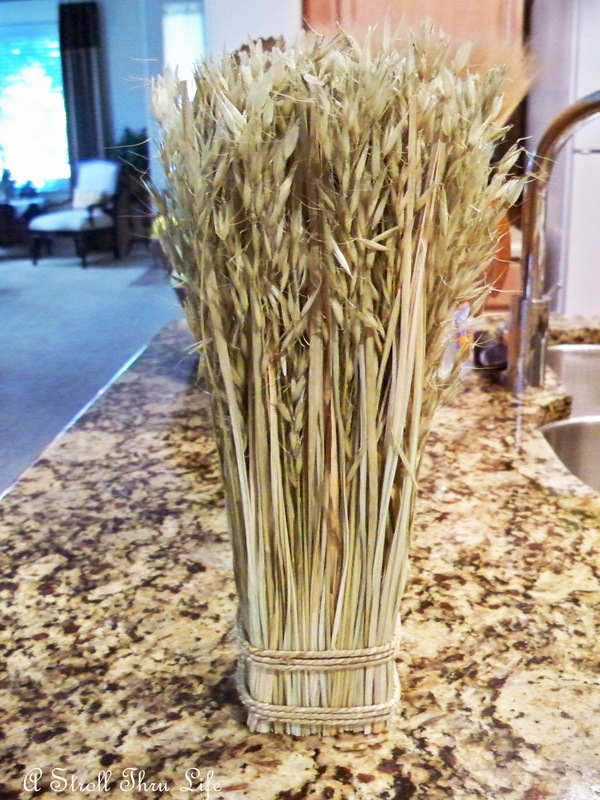 I found this stalk of wheat at Ross for $2.99. With a little dressing up, this is going to be perfect. First I wanted to add some ribbon. 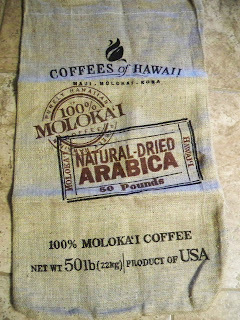 I tried all different colors and even some burlap. All would look great, however I chose a camel and gold ribbon that goes with the colors she uses in her home. I still wanted to dress it up a little more, so I added a berry pick that I had. The berries are red and camel colored, so they go with the bow. 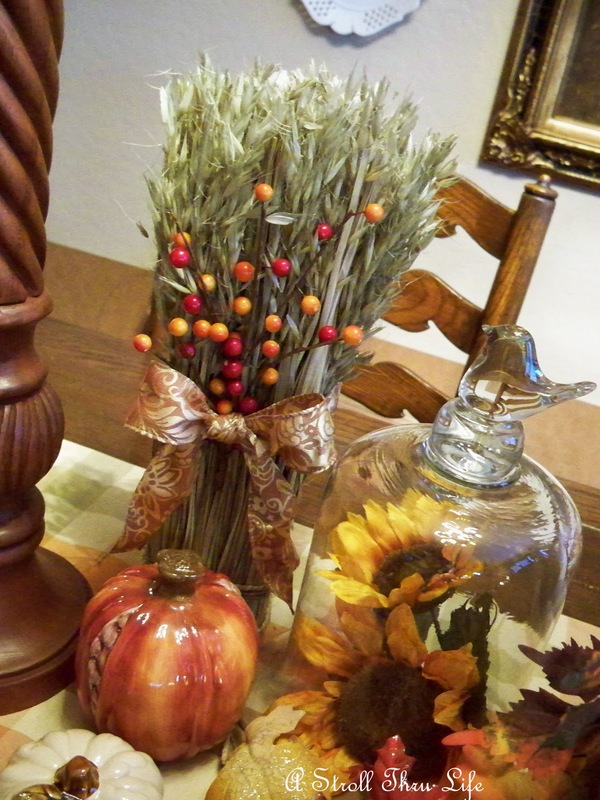 To get a feel for how it will look, I sat it on my dining table with a lot of Fall decor. The berries are fun but I also like it with just the bow. So what do you think, with or without the pick? I decided to go without the pick for my friend. Her home is done with such a quiet Country French elegance, I think just the ribbon fits her best. Either way, a lovely hostess gift for less than $5 and one that I think she will like. This would also make a lovely Christmas gift for a special friend. Maybe I need to find some more wheat. Also a reminder to mark your calendar for Nov. 1st for our FALL CLOCHE PARTY. 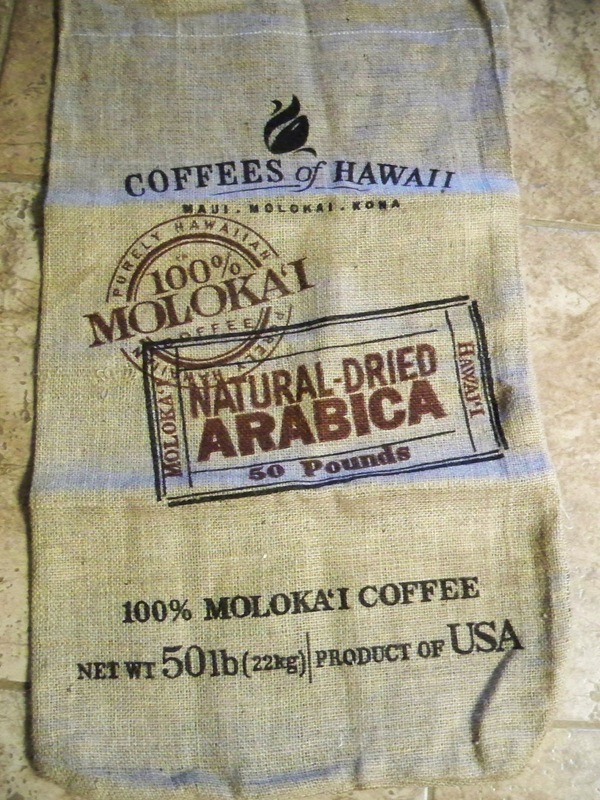 Also, click on the pic on my sidebar to enter my giveaway for the Burlap Coffee bag. Hi Marty. Glad I stopped by asyou reminded me of a wheat bunch hiding on a cupboard somewhere an dI just found it actually! Love the texture and yours looks de lovely. Happy to see another cloche party as I missed the last one so put it in my dairy this time. I agree it does look good with just the bow! Oh, great! Another cloche party. I hope I can get my cloches all Falled up so I can join. Thanks for popping in. Have you been to Hawaii yet? Marty, your wheat all dressed is up sensational, love that bow too! I think I need some wheat!! So pretty Marty and I know your friend will love it! Your home looks warm and so pretty for Fall! Of course, it does all throughout the year! Very pretty with just the ribbon! I love this idea. A great gift for the holidays and I'm going to use it! We only buy for the children in our family, but this is a great gift to bring to the homes of the ones entertaining for the holidays! Ummm...thing is...it's usually at my house! Heh! I like it both ways, Marty, but the simplicity of the ribbon really adds just the right touch. Such a great item to add to a tabletop vignette. Looks divine with only the bow~! What a cute gift and I love the price. The bow is a perfect addition to it. I may have to check out my Ross store. Good job. It makes the perfect center piece. Hi Marty, your friend is lucky to have someone who gives her a gift that has been so lovingly prepared! I am from Kansas and love wheat. I even had little stalks in my wedding bouquet! The colors of fall are so deep and warm. Have a good weekend. That's such a sweet gift to give someone during Fall. I like it with just the ribbon too. I can't get over how inexpensive you were able to get that wheat. I think I paid more for mine at Michaels. I like it both ways. 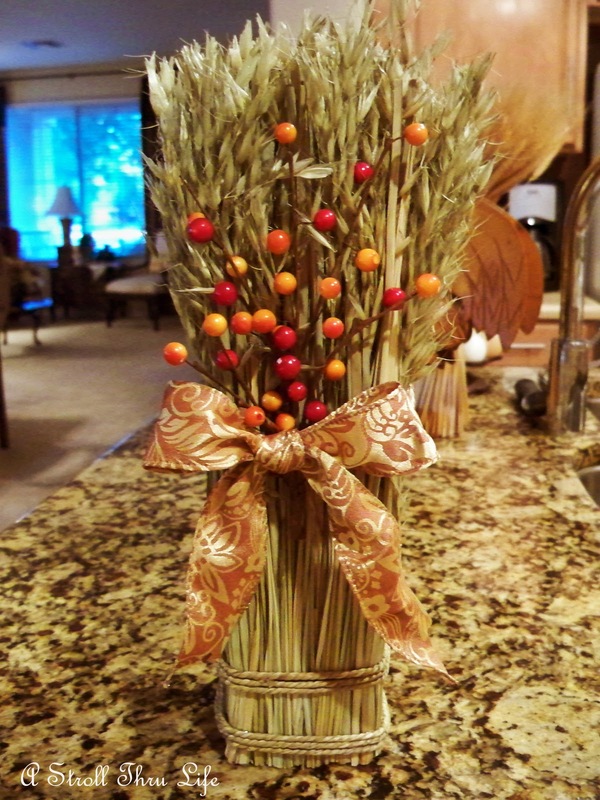 Stalks of wheat are so nice for fall decorations! It looks great either way, I love wheat! Oh I love wheat - especially for fall! What a great thing to decorate with! Thanks also for stopping by with your encouraging words about my mantel. Sometimes I think I need to get used to something to a new way! Enjoy the rest of the weekend! I really enjoy using simple things like this wheat, when I decorate...just can add so much warmth in places. Love your new wheat. I bought a couple of bunches, too. That is a pretty bow. Now I need to find one. Good idea. My vote is with out the berries. Looking forward to the cloche party. Both are so nice, I'm sure she will love it! Great gift idea Marty. I like it too without the berries. With a beautiful ribbon like that, it is all it needs~I am with everybody else I guess! Very classy touch for fall! I love stalks of wheat. I have some in a pitcher and I wonder if I could turn it into a stalk like yours? I'll have to give it a try. Looking forward to your cloche party. I have been struggling with post ideas lately. I seem to have hit a dry spot. This will give me some much needed inspiration. Thanks...Happy Sunday. Lovely gift! Of course I liked it with the berries, but I'm a gild-the-lilly sort of girl! Hahaha! I love your wheat! I have been looking for a bundle myself! Lucky girl! It looks great in your home! I'm excited about your Fall cloche party! Thanks for hosting another one! Your wheat is gorgeous. I adore the ribboned bow! Being from Kansas...I'd say forego the berries; however they are quite cheerful! You decide! Your choice will be best! Marty, this is a beautiful idea!